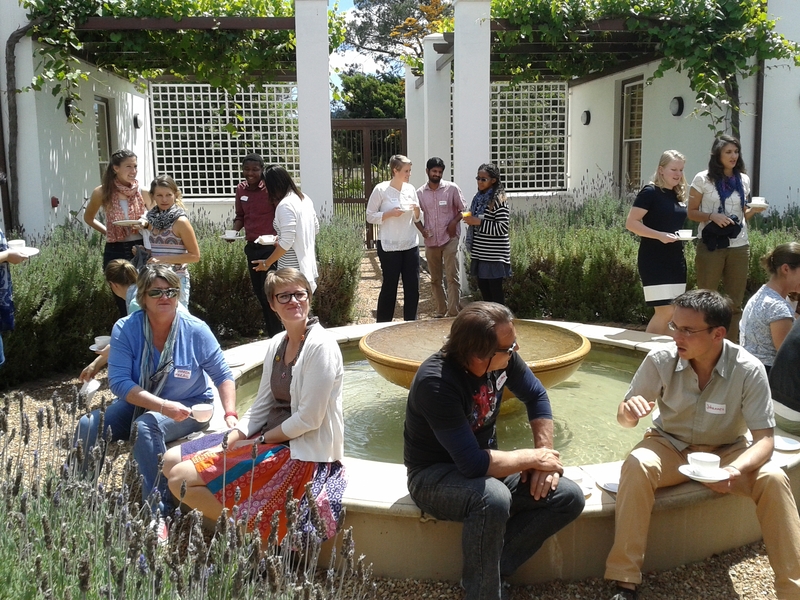 Yesterday we had great discussions with a group of about 30 early career scholars at a learning event by SAPECS on participatory action research in social-ecological systems, facilitated by Christo Fabricius. Basically it was about how we engage in a meaningful way in our research with other people in society. I quickly realized that participants were interested in a wide range of engagement, both facilitating participatory processes and reporting back research results to communities, for example, and in lots of different contexts. As Karen mentioned, a strategy to deal with this tension is to make transdisciplinary research a team effort and not an individual endeavor. Your own research can be part of a bigger project that is already established, where some of that time-consuming trust-building already has been done. Another strategy was to connect with partners outside the university that can facilitate the participatory process. From this discussion I’m more hopeful that there are ways to work this out in the current system, but in the longer-term I think there is a need to question the major incentive on researchers to allocate most their time on producing scientific publications. I’m also asking myself how I have dealt with this issue so far? For one of the municipalities that we are collaborating with (Sellberg et al. 2015), it certainly helps that we have worked together since 2011, we already have built a lot of trust and got to know each other, and that the key people at the municipality driving the project really have an own interest in engaging with new research. Previous PostPrepping for PECSNext PostWho are we and how do we hang out?